WOW Wednesday: How To Sell Online Without Having a Website.. The retail market is going digital now more than ever before and brick-and-mortar stores are still relevant, however, they may not be able to sustain like they used to before without some form of an online platform. JCK Online talks about one retailer that has successfully been able to sell their inventory online through their website. 1. 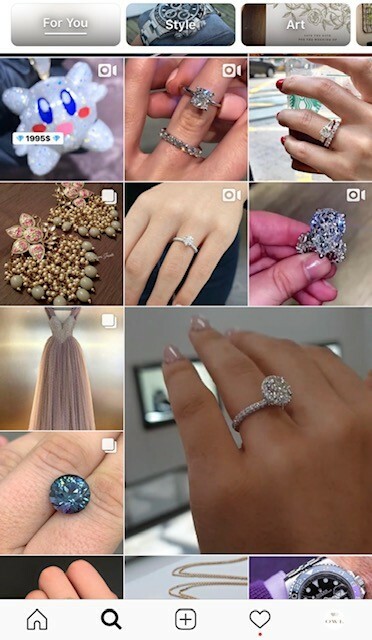 Instagram- It may seem very modern, but the entire social network is created to share imagery, and what better way to show off the diamonds and jewelry in your inventory than here. It’s even likely that your images will appear on the Discover page, where Instagram users with similar interests can view. 2. LinkedIn- this works bests for selling within the trade. You can easily share posts with people within the network. 3. Rapnet’s Jewelry Online jewelry Market- It’s a new feature where you can not only trade, buy, and sell diamonds, but now feature jewelry pieces. These are just a few ways that jewelers have begun to reach the new generation of consumers.